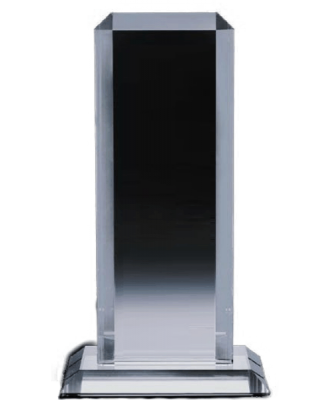 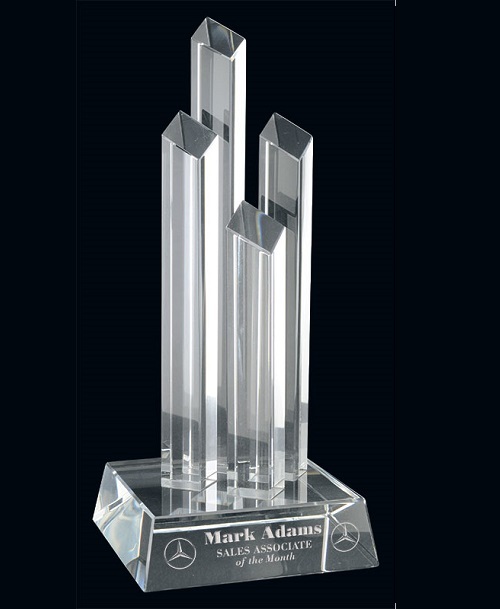 The 9″ Prudential crystal award is an amazing award that is designed with several crystal pillars. 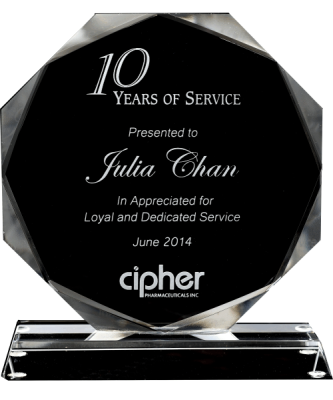 This design provides a sleek and modern looking award that is fixed with a clear crystal base. 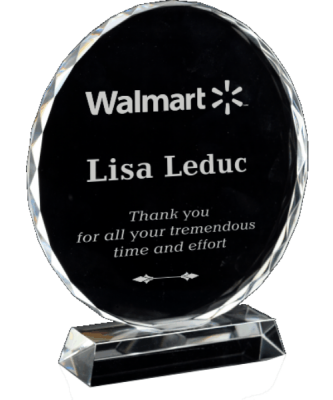 A fantastic award for corporate, business and sponsorship events!